Ever since late 2001, OWASP has become an essential part of online freedom, security, and trustworthiness. For the best part of two decades, they have played a leading role in the development of a safer, stronger internet. That’s very important, and their work when it comes to safe and secure internet usage, including with WordPress, is invaluable. 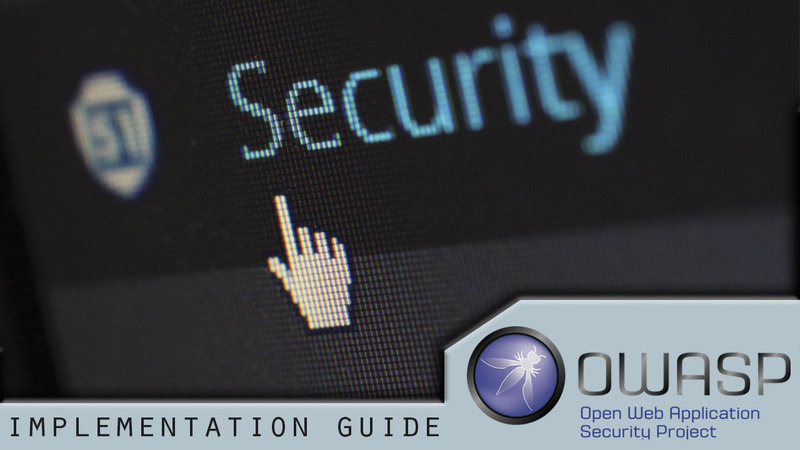 If you wish to make the most of your WordPress website, OWASP has produced an impressive new security implementation guide. When used accordingly, this guide provides users with all the information that they need to stay ahead of the game and to maintain a safe website which everyone is able to use. This has become an increasingly important part of online safety and security. To help you make sure that your website is safe, you should look to carry out the following security implementations. Done correctly, this could vastly improve the safety and security of your website for all users. A common problem with your WordPress site may come from broken authentication. When this happens, hackers could have manual access to your website and gain complete control over the website in a worst-case scenario. It’s recommended that you remove the standard /wp-admin platform for your WordPress page, instead of replacing it with something much harder to guess. The same is true of making sure that you avoid using standard usernames. For example, you should rename any account named ‘admin’ and ensure that it is instead replaced with something unique and much harder to guess: complexity is important, and its worth making login challenging to put off attackers. This is another common issue that you need to be prepared for, and most commonly happens when your XML parser is not strong enough. While this is often a developer issue, the best way to avoid XXE problems in WordPress is to keep updating your WordPress software. Also, try and avoid using needlessly complex data formats, and make sure that all of your XML processors are up-to-date. If you would like to install a more studious option, it’s recommended that you look at getting a Web Application Firewall, which works to help block XXE attacks. One extremely common yet damaging issue would be a security misconfiguration. This often comes due to a lack of updating or patching of the WordPress system that you use, or a failure to make basic security changes such as removing the basic ‘admin’ account, as mentioned above. You should get rid of any WordPress default that exists: this includes the two mentioned before. You should also change any other path which is installed by default, including on any plug-ins or themes that you might be using. The developers of any third-party WordPress tool should be able to help you do that. The more unique your WordPress website is at the back-end, the better. While updating all of your plug-ins and components might mean paying for them, it’s essential that you do so. Old legacy editions of WordPress plugins and third-party software often require you to stay on an older edition of WordPress: this is never recommended. Delete any old components which are installed, such as the default WordPress themes, even if you never use them. Get rid of anything that is out-of-date, and if you need to invest some money into buying the safest and most up-to-date option, do so. The cost is minor in comparison to the cost of lost or compromised data. To avoid data from becoming needlessly sensitive, you should look to apply controls as per the classification. This is vital to help avoid the exposure of sensitive and vital data. Avoid storing any of your sensitive data unless it is 100% necessary and make sure that you make a clear point of identifying data which must be secured as a priority. Make sure that you look to change any default cryptographic keys if you are using any, too; the more unique your keys are, the better. To help prevent the exposure of vital data, you should look to make sure that you get independent verification of the configuration. This will often mean bringing in a security expert to put your systems through a stress test. This is very much recommended, as the benefits of doing so will often mean that your data is less likely to be exposed. Whilst preventing data exposure is probably the hardest part of running a WordPress website, the consequences of doing nothing can be incredible. Therefore, you should look to identify all data which is sensitive, and then have your data storage configurations rigorously tested. It’s better to find out a problem now than before it’s too late.